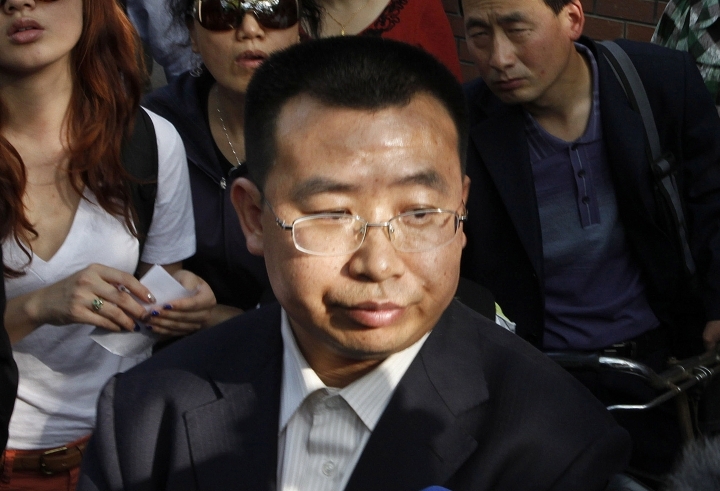 BEIJING — A prominent Chinese human rights lawyer who recently completed a two-year prison sentence on national security charges has returned to his parents' home in central China after he briefly went missing upon his scheduled release. "I cried, he teared up too!" she said. "I see that Tianyong has gotten thinner, and his face is a bit darker." She added, "He says right now he is still not free." Jiang was permitted to go to his parents' residence in Henan province two days after he was initially released and escorted elsewhere by police, Jin said. Jiang's sister and father had gone to meet him Thursday upon his release, but were only allowed to see him briefly with state security agents present. Jiang, his sister and father then became unreachable for two days, Jin told The Associated Press last week, saying she feared that they had all been taken into police custody. It wasn't immediately clear where the three were during those two days. Prior to Jiang's arrest in 2016, he had worked to publicize the plight of lawyers arrested in a sweeping crackdown on legal advocates that began in July 2015. He was forced to stop practicing law in 2009, after authorities refused to renew his legal license.